Some Answers to a Reader’s Response: When did the author Write those plays? A reader (named Jim, I believe) commented on my replies to Professor James Shapiro, regarding his criticism of the movie Anonymous. It seems worthwhile to continue the discussion here, on the main page. Jim brought up four separate topics, and I’ll try to take up one or two at a time. "The Famous Victories of Henry the Fifth" was played by the Queen's Men in 1583 and serves as the foundation for "Henry IV, Parts 1 & 2" and "Henry V" by "Shakespeare"
You’re not being rude; and thanks for the chance to respond. First I should mention the Oxfordian view that saying “Shakespeare is Shakespeare” would be akin to saying “Mark Twain is Mark Twain.” True enough, but we know that “Mark Twain” is a pen name used by Samuel Clemens. So when we say “Shakespeare” we mean the printed name, referring to an otherwise unidentified poet-playwright; and we believe it’s a pen name, or pseudonym, as opposed to the name “William Shakspere” referring to the real individual who lived in Stratford-upon-Avon in Warwickshire. “Most datings of the plays put them much later than you do,” Jim writes. “For a variety of reasons, including pieces of text that seem to refer to current events (cf. ‘Macbeth’ and the Gunpowder Plot) many of them have been specifically placed after the death of Edward de Vere. I understand that the standard Oxfordian riposte to this is that de Vere actually wrote all the plays, and some were released after his death, edited to appear current. I don’t find that persuasive because I can think of no motive for it. The generally accepted dating for each play is based primarily on the biography of an author (Shakspere) who came to London in the late 1580’s or early 1590’s. He would have begun writing the thirty-seven or more plays assigned to Shakespeare soon after; if he wrote two per year, it would take him eighteen-plus years up to 1610 or so. So the assumption of Shakspere’s authorship is the reason why the writing of the plays is traditionally dated within that spectrum; the single premise of him as the great dramatist makes it “impossible” for the writing to happen during an earlier period. When Oxford’s life is used as a guide, however, we can start way back when he was a teenager in the 1560’s; we can view him writing all during the 1560’s, 1570’s and 1580’s – three decades – prior to the 1590’s and the first appearance of “Shakespeare” the poet and/or playwright. Moreover Oxford played a part in establishing the Queen’s Men (Queen Elizabeth’s Men) in 1583; in that decade this major company performed no less than six plays of royal history that “Shakespeare” is said to have “rewritten” later to create his own plays – The Troublesome Reign of King John, The True Tragedy of Richard III, King Leir, The Famous Victories of Henry V and so on – with many of the same scenes that “Shakespeare” uses. 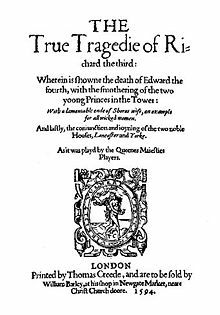 "The True Tragedy of Richard the Third" - By Anonymous - Played by the Queen's Men in the 1580's - Was it Early Shakespeare? There’s no evidence that Macbeth was performed during the reign of King James [1603-1625]. The account allegedly written by Simon Forman, describing a performance he supposedly witnessed in 1611, was discovered by the notorious nineteenth-century forger John Payne Collier – so we can’t count on that! Otherwise the play was never printed, nor does any record mention it, before the First Folio of Shakespeare plays in 1623. The dating of play composition is tricky and requires much research. I again recommend Dating Shakespeare’s Plays: A Critical Review of the Evidence, edited by Kevin Gilvary. A fascinating Oxfordian study was made in the 1930’s by Eva Turner Clark in her book Hidden Allusions in Shakespeare’s Plays. Clark cites evidence that Oxford had written all the plays, at least their original versions, by 1590. He could have made many revisions up to his death in 1604; other writers, so-called collaborators, could have made revisions and additions over the next nineteen years until the Folio; and that might account for some of the apparently post-1604 references. On the other hand, Oxfordian researchers such as Kositsky and Stritmatter are producing new evidence to show that ALL such references could have come from earlier events and sources. Re MACBETH: if you want to read a devastating essay that supplies numerous reasons why this play had no connection with the Gunpowder Plot and was almost certainly not performed as believed by orthodox scholars — for the visit of James I’s brother-in-law, the king of Denmark — I suggest you read “History, Politics and MACBETH” by Michael Hawkins in the collection called FOCUS ON MACBETH. Originally published in 1982 by Routledge, the essay was written by a historian with no Shakespeare ax to grind, and the book has recently been reissued I believe. The story that MACBETH was a “royal command” play was mooted by by H. N. Paul in a 1950 book, as has been adopted by academia; Hawkins tears Paul’s arguments to pieces. Thanks for the information. We’ll get hold of the Hawkins book for sure. Hawkins wrote the essay (pp. 155-188). The book itself was edited by John Russell Brown. I just checked on google books and it’s up there, in a typically frustrating way: 4 or 5 pages are missing at random. I’d try to read the whole thing. I should add that the arguments directly countering the “royal command” concept begin on p. 185 in an appendix. I’d like to second the notion that the idea that Macbeth has some necessary connection to the gunpowder plot is bunkum. Some years ago I read quite carefully those parts of Henry N. Paul’s book, The Royal Play of Macbeth, one of the more important studies purporting to establish this claim. Paul’s approach was, to say the least, a creative one. He focuses on the word “equivocator,” turns to the OED, and triumphantly announces that this was a very new word in the early years of the Jacobean court, and that the phrase “here’s an equivocator who could not equivocate his way to heaven” must refer to Father Garnet’s endorsement of that doctrine as one of the gunpowder conspirators. As I recall — I don’t have the book in front of my in my office and would have to check it to be sure my memory is correct — Paul fails to mention that the manuscript on the doctrine of equivocation that was seized with Garnet’s belongings was the work of Robert Southwell, who died in 1595 (http://en.wikipedia.org/wiki/Robert_Southwell_(Jesuit)). Moreover, whatever the history of the particular word “equivocator,” historians who are not offering special pleadings for Shakespearean chronology have clearly established that the doctrine had by 1605, or even by 1601, been a subject of controversy for decades — one the continent going back to the 1560s, and in England from at least the 1580s when Counter-reformationist priests began entering England in some numbers to shore up the Old Faith. If we are looking for an “equivocator,” Southwell is a pretty good alternative. Was their motive to topicalize a play like Macbeth to entertain an audience shocked by the Gunpowder plot? Of course. Do we need such a theory to explain how those lines could have found their way into a play probably written somewhat earlier? I doubt it. Wow. Another lesson about the danger of rigidly held assumptions… Thanks, Roger. I’m flattered that you’ve devoted so much time to replying to me! I think it would be inappropriate of me not to reply in kind. I should start by stating that I remain unconvinced that de Vere used the name William Shakespeare. I’ll respond to each of your counter-points in turn. First, a quibble: the “Mark Twain” analogy is flawed. In the case of Mark Twain, Samuel Clemens used “Mark Twain” as a pseudonym. In the case of Shakespeare, the man who wrote under the name “William Shakespeare” may (and I believe was) actually have been named William Shakespeare. The difference is that no man named Mark Twain ever walked in the same circles as Samuel Clemens, but a man named William Shakespeare certainly walked in the same circles as William Shakespeare. That alone does not remove the possibility of it being a pseudonym, but it certainly marks the case as unique. 1. Traditional dating relies upon Shakespeare’s (the man, not the pen name) life as a guide; remove that obstacle, and the dating of the plays is much freer. 2. Oxford established a theater company that performed many titles we now ascribe to Shakespeare. 3. Evidence typically given for current events relating to certain plays — in this case, Macbeth and the gunpowder plot — is invalid. 4. Lots of researchers have shown that Oxford could have written the plays on a reasonable timeline. My intent here is not, by the way, to unfairly compress your points, just to summarize them. 1. I think you’re over-simplifying the methodology of traditional dating; in essence, you say the entire Stratfordian dating scheme relies on the assumption that pen-Shakespeare was man-Shakespeare. That’s a little unfair. There are other reasons to uphold the traditional timeline, and, to my knowledge, few arguments against the traditional dating system except the difficulty of then ascribing the plays to Edward de Vere. The timeline you suggest, on the other hand, is immediately problematic. For example, it would be surprising for Oxford to have written plays during the 1560s and 1570s, since London theater barely existed at the time; stating that someone began writing them so early demands we accept that he was working in a form that did not yet exist for an audience that had yet to materialize. 2. I actually consider Oxford’s patronage of the Queen’s Men as a point against his authorship, because a) it argues someone who was not afraid to show support for the form, and b) the Queen’s Men were in direct competition with the company that would be principally responsible for producing the plays ascribed to Shakespeare, the Lord Chamberlain’s Men. I find it hard to believe Oxford would not have presented even a small play under his own name, and even harder to believe he would not have preferred his own troupe for the job. However, more to your point, the plays you mention, such as “King Leir,” are widely believed to be early adaptations of stories that Shakespeare would later adapt himself. I find this persuasive because a) the earlier versions are textually dissimilar from the later ones, b) most of the Shakespeare-ascribed plays are adaptations of existing stories, so it’s not hard to believe he would treat a story that had been done before, and c) the titles you mention are all stories from English history or lore that were violent, lurid, and popular — in other words, excellent material for the stage, to the extent where it would be almost surprising if no one had used them before Shakespeare. On a side note, based on my own reading of the text, I personally believe “Leir” is so different from “Lear” that they could not possibly have been written by the same person — not even the same author making revisions later. 3. I don’t know enough about the Gunpowder Plot arguments to comment much on them. 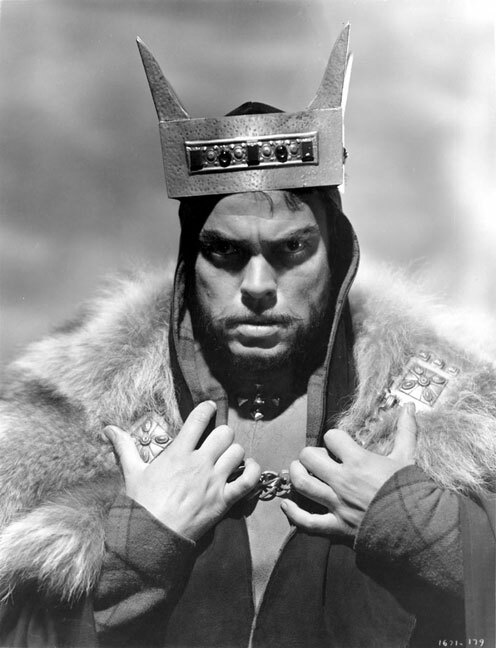 I do think there are other good reasons to date “Macbeth” to the reign of King James, not least the fact that the play seems unusually well suited to satisfy the predilections of a Scottish monarch with a penchant for witches. There’s also the issue of Banquo, supposedly an ancestor of James; in the original story on which the play is based, he’s a scoundrel, but in the play he’s an unfortunate hero. Again, seems tailored to a certain Stuart. One could argue that an earlier version of the play was altered to please King James, but, as far as I know, no such version has been show to exist. 4. I can’t comment much on the Oxfordian timeline sources you cite, since I have not read them. I may look into some of them if I get the chance. However, I get the impression that most of these scholars are attempting to demonstrate, not that an Oxfordian timeline is certain, but that an Oxfordian timeline is POSSIBLE. It is easy to prove that something is possible when dealing with a distant era whose recordkeeping was shoddy. Possible, however, is not proof; it is not even persuasive. Again, though, having not read the books and articles you mention, it is difficult for me to address their validity in any serious way. Before concluding, I would like to mention that it is obvious you are extremely well read. I take it you do this for a living, and have published some books on the subject yourself. I confess myself at a disadvantage in that regard; I have read all of the plays and several biographies, but, as an actor by trade, I have little need to do in-depth timeline research and no need at all to read Oxfordian sources. (Pertinent knowledge for an actor is essentially limited to a basic knowledge of Elizabethan religious beliefs, language, and society.) So I apologize for my inability to respond more ably to certain of your points. I will hopefully get around to addressing your other post in the next few days. In the meantime, as before, I hope to have represented my side cogently and courteously, and wish you the best. Edit: I meant 4 stages, not 3. Lost track of it in that monstrously long post. For which, by the way, apologies. I wonder why it’s so important to *start* with this blanket statement about authorship. Shouldn’t the positions we adopt on particular questions, such as whether or not *Macbeth* really is parodying the gunpowder plot, be independent of such macro-level conclusions? I would hope so. Otherwise we’re just indulging the most popular of all logical fallacies, circular reasoning. I’m willing to admit, for example, that it’s *possible* that the porter scene in *Macbeth* does refer to the Gunpowder Plot. I can certainly see why some people think it does; it’s just that when I examine such published scholarship as that of Henry N. Paul, it comes up wanting in the honesty department, and that makes me question how serious the scholarship really is or whether I should place any confidence in it. “There is much of conjecture, even as regards the order, and still more as regards the ascriptions to particular years. These are partly arranged so as to provide a fairly even flow of production when plague and inhibitions did not interrupt it” (Chambers, William Shakepeare, I 269). Does that sound like a solid methodology to you? It departs from a simple confusion of the logical status of dates “before which” and dates “at which,” treating the former as if they were the latter. Imagine this. Suppose you were out with your seven-year-old son (assuming you had one) prospecting with your metal detector (assuming you had one), and turned up a 1909 Indian-head penny. You ask your son, “When do you think this penny was deposited here?” He’s likely to say, “In 1909.” This is the kind of logic Stratfordians use to date the plays. It’s not really a matter of evidence — although Oxfordians have this in spades — it’s a matter of logic. The Stratfordian chronology is a flawed exercise in, to be nice, rather imprecise logic. But we do have evidence. You just haven’t read any of it yet. I am myself something of a skeptic of the “early” Oxfordian chronology. I don’t think that the versions of the plays as we have them were written as early as many seem to think. But imho you’re grossly oversimplifying the problem when say that there are “very few arguments against the traditional dating system.” How about this: http://www.shakespearestempest.com. The materials presented on the above-mentioned site pretty much demolish the idea that the *Tempest* was written in 1611. It was written in or before 1603. 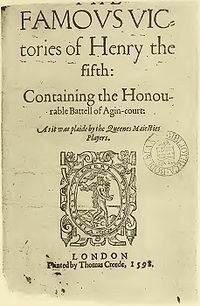 Since most agree that the *Tempest* was the *last* play written by Shakespeare, I would say that unless these arguments — published mostly in peer reviewed journals of early modern studies — can be successfully contested (and so far they have not been), this in itself 1) shows that your argument is based on a lack of familiarity with the relevant scholarship and 2) is almost certainly wrong. But this is not the whole story by any means. To seriously uphold your point of view you’d also need to tackle the impressive assemblage of evidence gathered in Kevin Gilvary’s new *Dating Shakespeare’s plays : a critical review of the evidence. * (http://www.amazon.com/Dating-Shakespeares-plays-critical-evidence/dp/1898594864). In short, there are more than a “few arguments” now available that more or less successfully contest the received chronology. It’s a house of cards built in the quicksands of assumption and fortified by the misuse of logic. Thanks for the reply! I’m enjoying the back-and-forth here. Just a quick response to what you’ve said. 1. My opening statement that I still believed the Oxfordian argument to be untrue was not indicative of a closed mind. It was more equivalent to “here’s what I think, and here are some reasons why.” I wanted to clarify my position at the start — which, I believe, is taught as proper writing style in most schools. 3. I am well acquainted with the problem of distinguishing “before which” and “at which” in play dating, as are the Stratfordian scholars whose work I’ve read. Accusing a Stratfordian of confusing the two is, as with your use of the Chambers quote, demeaning and inaccurate. My personal belief is that people on both sides of this issue are intelligent and acting with good scholarship in mind; implicitly comparing Stratfordians to little boys, as you do here, is an unjustified slur. 4. You are correct that I am mostly unacquainted with Oxfordian scholarship — a point I was careful to make in my original comment on this post. I did take a few minutes just now to look at the site you mentioned, shakespearestempest.com, hoping to be able to reply with a bit more knowledge of the arguments you’re referencing. I have not read the articles deeply yet, but my flash impression of the article “The Spanish Maze and the Date of the Tempest” is that it relies heavily on the hypothesis that “The Tragedy of the Spanish Maze” and “The Tempest” are the same play. While possible, it is also possible that “The Spanish Maze” refers to any number of plays by other authors that actually took place in Spain and dealt with political intrigue. “The Spanish Tragedy,” a play that was vastly popular and widely acknowledged to have been written in the 1580s or ’90s, comes to mind. By no means do I now consider myself an expert on Oxfordian methodology, or even on “The Tragedy of the Spanish Maze;” the only observation I can make is that I believe the methodology *in this one article* is unsound. I might add that the article’s unsoundness does not prove or disprove anything beyond whether or not this article is sound: not the identity of Shakespeare, not the validity of Stratfordian logic, not even whether the article’s hypothesis is true! Contrary to your implication that I am trapped in “macro-level” assumption mode, I have endeavored to maintain just that sort of specific reasoning throughout my comments on this blog. 5. I hope to look at Gilvary’s book at some point, but your assertion that I cannot meaningfully comment on the issue unless I have read it is equivalent to telling me I’m not tall enough to ride the Shakespeare roller coaster. I’ve been honest about what I do and do not know, and have tried to stick to discussing what I *do* know. There’s much ground for discussion that does not require an in-depth knowledge of a single book — at least, I hope there is, because otherwise scholarship and debate are much duller than I had thought. 6. The one point I will concede to you is that my statement, “there are few arguments against the traditional statement other than the difficulty of then ascribing the plays to Edward de Vere,” is inaccurate. While I continue to believe, based on those Oxfordian sources with which I AM familiar, that many Oxfordians proceed from the assumption that de Vere *must* have written the plays and QED traditional dating is wrong — and I believe the article I mentioned above about “The Spanish Maze” falls into this category — my blanket statement was unjustified, and I should certainly be more familiar with Oxfordian arguments before making similar statements. That said, I think you have made several blanket statements of your own. Doesn’t mean that either of us is necessarily wrong; just a useful reminder, for both of us, that good debate requires scrupulous attention to accuracy and the ability to resist overreaching the scope of one’s knowledge. I hope I have not come off as too confrontational. I remain grateful for the open debate I have found in this comments section, and wish you the best. This is a big turn off. I’m sorry, but don’t have any interest in engaging in extended discussions with people who describe a perfectly reasoned interpretation as “VERY biased.” I recommend you consult the Gilvary book and then substitute their own overgeneralized version as a better one. I supplied you with the original quote. This is more than you’ve done in many paragraphs, which are filled with your own beliefs and speculations, without any outside documentation or support whatsoever. Such generalizations as “I continue to believe, based on those Oxfordian sources with which I AM familiar, that many Oxfordians proceed from the assumption that de Vere *must* have written the plays and QED traditional dating is wrong” is unfair as you would know if you read even the footnotes to the Review of English Studies article to which the link above directs you. Or maybe its not unfair, since you frame it from the start as a matter of your “continued belief.” You are of course free to continue believing anything you like for as long as you like, but no one is obliged to devote precious to explaining to you why you are wrong when can make use of the resources already available to you to determine that for yourself. Intellectual development does require sometimes having to say “I’m sorry,” at least to yourself. I have not read the articles deeply yet, but my flash impression of the article “The Spanish Maze and the Date of the Tempest” is that it relies heavily on the hypothesis that “The Tragedy of the Spanish Maze” and “The Tempest” are the same play. Wrong. It demonstrates through a carefully developed argument that it is highly plausible that they were the same play. This article, moreover, is one of several on the sight. I find it interesting and revealing that you went immediately to the one most speculative of all the articles. This is consistent with your confusion about how to construct a valid argument. Start by dealing with the most persuasive of your opponents points. If you can do this, you may have a solid case. When you immediately advert to the weakest and announce “aha, look,” it only suggests the weakness of your own case. You are in good company on this score. Stratfordians have been doing (not to mention much worse) for ninety years. You are smarter than that. My assessment of the way you paraphrased Chambers was not a statement on your thesis that Stratfordian dating methods are tenuous. I was only saying that the way you paraphrased the quote by Chambers was inaccurate and irrelevant. By offering to “translate” what Chambers had said, you implied that Chambers was confessing to a slew of academic misdeeds. In my opinion, Chambers admits only to the difficulty of definitely proving any set of dates for the plays — a truth that both sides of this issue should agree on, regardless of bias. Again, I was sharing my opinion about the *use of the quote*, not your evaluation of Stratfordian dating methodology; I did not intend my words to be taken as an outright rejection of the idea that traditional play-dating methods are flawed, and, if that is how you understood me, I apologize. If instead you are defending the interpretation of the Chambers quote, all I can say is that I disagree. Twisting the words of a competing scholar does not qualify as evidence. As for “The Spanish Maze”: I was unaware that this was the most speculative of the articles. I had limited time as I was writing my last post, so I selected an article at random based on what seemed interesting and whether or not I recognized the names of the authors. I then gave it a quick, unbiased read, and honestly found it unconvincing scholarship. That it happened to be the most speculative is, I suppose, an unfortunate coincidence. But you seem to think that I deliberately selected the weakest argument available as a straw man, and that is not the case. I have to say that, based on the tone of your responses, I’m not likely to try to have conversations on this blog again. (For which you might be glad, I guess, given my “confusion about how to construct a valid argument.”) I’ve tried to be forthright about what I do and do not know, the sources I’ve encountered before, and what my opinions are. You’ve responded, essentially, by telling me that I’m bad at arguing and I need to read more books. If I were an anti-Oxfordian troll, that would be fine, but I came here looking for a fruitful conversation and convincing arguments. Your demeaning replies do the Oxfordian position no credit, and they certainly don’t persuade me of Oxford’s authorship. I would like to thank Hank for his polite and enthusiastic rejoinders to my original queries, though.